Snapchat uses a lot of symbols and icons. If you’re new to Snapchat, chances are you won’t know the meaning of these Snapchat symbols. Snapchat is easy to use, but difficult to master. We have filters, lenses, trophies, emojis and many features more. Most of these features use symbols and icons to represent different meanings. Snapchat symbols are emojis and icons used to represent relationships with your friends, status of your snaps — sent and received — and other important information. You can tell a lot about your Snapchat friends if you understand the meaning of these symbols. In this post, we take a look at all the Snapchat symbols (icons) and their meanings. We start off with the most popular of Snapchat symbols — emojis. Emojis are emoticons used to represent your relationship with your friends on Snapchat. You can find them next to your friends’ names in your inbox or friends’ list. Snapchat Friend Emojis were introduced in January 2015 and have since been expanded to 11 emojis. While emojis are a private feature — that is, only you will be able to see the emojis — they can tell you a lot about your friends. A Gold Heart symbol on Snapchat appears next to a friend’s name when you have sent the most number of snaps to this person, and this person in return sends you the most number of snaps. The Gold Heart emoji indicates that you are #1 best friends on Snapchat. From what we’ve understood so far, you are #1 best friends on Snapchat with someone only when the two of you have been sending the most number of snaps to each other. You are not best friends if the person on the other side has not sent you the most number of snaps. You are each other’s best friends. You snapchat with him/her the most. And he/she, likewise, snapchat with you the most. And this is indicated by the Gold Heart Snapchat symbol. The Pink Hearts emoji is the highest level of friendship you can achieve on Snapchat. This is a true indicator of friendship. It says that you really are BFFs. The Pink Hearts symbol appears when you have been #1 best friends on Snapchat for 2 months or more. This means that you have been exchanging the most number of snaps with each other for more than 2 months. The Grimace emoji means that you and that person are sharing a best friend. That person may not necessarily be close to you, but you have a mutual best friend. To illustrate, you are a girl. You send the most number of snaps to your boyfriend, making him your best friend. But some girl from your friend’s list has also been sending the most number of snaps to your boyfriend, making him her best friend as well. When you see a grimace symbol next to someone’s name, you seriously need to stay alert or raise questions. We told you, Snapchat symbols tell a lot about your friends. The smile emoji is a close friend emoji. It means that that person is one of your best friends. He/She may not be the person you send the most number of snaps to, but he/she is someone you send a lot of snaps to. You are close with this person, although you’re not BFFs. The smile emoji indicates that you are close friends with that person. This is the smile version of the Grimace emoji. While the Grimace emoji means that you’re sharing a best friend with someone, the Sunglasses emoji means that you’re sharing a close friend (someone with a smile emoji). Nothing to be alarmed of here. The Smirk emoji appears next to a person’s name on Snapchat when you are their best friend, but they are not. This means that this person has sent the most number of snaps to you, but you do not send the most number of snaps to this person. The smirk symbol, among many others, can be interpreted by this illustration: You’re a guy. A girl has a crush on you. She keeps sending you these snaps. But you’re hardly interested in her and do not send snaps back. The smirk symbol appears next to her name. Nothing to be alarmed about here, but stalker alert maybe. The Fire emoji in Snapchat indicates a Snapstreak. A snapstreak appears next to a friend’s name when you have been exchanging snaps with each other within a 24 hour period for more than one consecutive day. When you’re on a Snapstreak, a number will appear next to the Fire symbol. This number indicates how long you have been on a snapstreak with that person. If the number 7 appears next to the fire emoji, it means that you have been exchanging snaps with each other regularly (back and forth) for 7 days. Snapstreak is counted only for snaps, not chats. The Hourglass emoji has been discussed extensively in an earlier post. When an hourglass symbol appears next to a friend’s name, it means that your snapstreak is about to run out. Inorder to keep the snapstreak alive and going, send a snap to the other person. Chats do not have any effect on the snapstreak however. The Baby emoji in Snapchat appears when you have just become friends with a person. The symbol will eventually go away after you have become friends for a while. The Birthday Cake emoji appears next to a friend’s name who has a birthday today. This makes it easier to remember someone’s birthday and send him/her a snap wishing him/her a happy birthday. Understanding Snapchat emojis can tell you a lot about your relationships with your friends. It also serves as social proof of your friendship. Icons can be seen everywhere on Snapchat. These icons mean different things. Also, different colours of an icon can mean different things. We take a look at all the icons used in Snapchat. You sent a snap that does not contain an audio. Your snap that does not contain an audio has been opened. You sent a snap that contains an audio. Your snap that contains an audio has been opened. Your chat has been opened and read. A gray arrow appears when the person you send the snap to has not accepted your friend request. A friend received cash that you sent through snapcash. You have received a snap without an audio. You have opened and viewed a snap without an audio. You have received a snap with an audio. You have viewed a snap with an audio. You have received a chat. You have opened a chat. The Gray Chat Icon means that a snap or chat is pending and may have expired. It means that you haven’t opened the chat/snap in time and is no longer available. This means that someone has taken a screenshot of your snap that does not contain an audio. 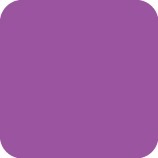 When the purple sceenshot icon appears, it means that someone has taken a screenshot of your snap that contains audio. The blue double arrows means that someone took a screenshot of a chat you sent. Replay icons appear when someone replays your snaps. Replays aren’t readily available in Snapchat. You get one replay in a 24 hour period. You can also buy replays. When a red replay icon appears, it means that someone has replayed your snap that does not contain an audio. When someone replays a snap, it is highly likely that he/she takes a screenshot or a recording of the snap. The purple replay icon means that someone has replayed a snap containing an audio that you sent out. Red Icons: Red icons indicate a snap that does not contain an audio. Purple Icons: Purple icons mean that the snap contains an audio. Blue Icons: Blue icons are for chats. Ghost Symbol: The ghost symbol is the logo of Snapchat. It appears on the camera home screen. When you tap on it, it will take you to your profile and settings. Trophies Symbol: The trophies symbol appears on your profile screen. Tapping on it takes you to the trophies screen where you can see the trophies you have unlocked in your Snapchat. Settings Symbol: The Settings icon appear on the top right corner of your profile screen. Tap on it to go to the settings of your Snapchat. Three rings symbol: In the new Snapchat, you will see three rings on the right bottom corner of your screen. If you tap on this, it will take you to the Stories section. You can also access the stories section by swiping left across your screen. Blue chat symbol: This feature is also seen in the new Snapchat update, a blue chat symbol appears on the bottom left corner of your screen. Tapping on it takes you to your inbox. You can also access your inbox by swiping right across your screen. We will keep looking for new Snapchat symbols that are a little confusing. We’ll update this post with any new developments.